The Hawaii Torrenova apartments are superbly situated with magnificent sea views from the pool area and terrace. Accommodation is in either studios or one bedroomed apartments, all of which have air conditioning and are very well equipped. 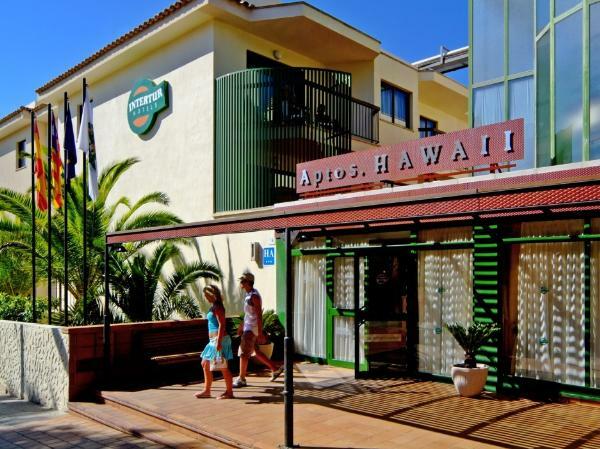 The Hawaii Torrenova are extremely popular as they are such and excellent holiday base for both families and couples. There is plenty to do within the complex as there are 2 adult pools and one childrens pool; wide sun terraces with sunbeds and those fantastic views; daytime and evening entertainment; a pool/snack bar and an indoor lounge bar. Why not take advantage of the excellent half board offer, you can choose to take your meals from the menu at the snack bar, or alternatively you can go to the buffet restaurant of the Hotel Hawaii, right next door. The apartments are only 200m from the white sandy beach and just 300m to the resort centre. Dont miss the opportunity to book early, these apartments are in demand! !